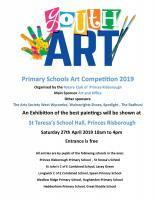 Rotary Club of Princes Risborough - welcome! Please scroll/swipe down through this page to find out more about us, in addition to the pages linked in the menu, top-left. Rotary International, founded in 1905, is the world's largest service organisation, whose stated purpose is to bring together business and professional leaders in order to provide humanitarian services, encourage high ethical standards in all vocations and help build goodwill and peace in the world. We are 1.2 million neighbours, friends, and community leaders who come together to create positve, lasting change in our communities and around the world. 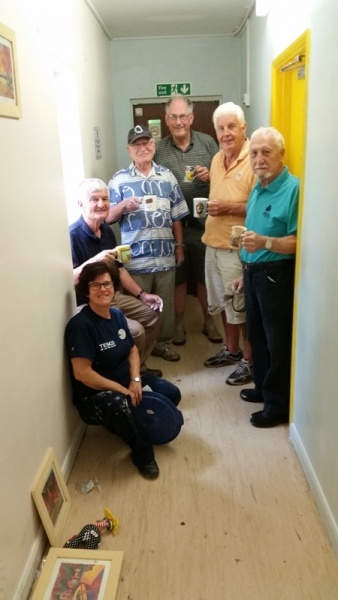 The Rotary Club of Princes Risborough is a friendly club with over 50 dedicated individuals who exchange ideas, build relationships and take action. As well as raising money for many charities within the local community and abroad, we also join with other local organisations, supporting each other in many ways For a list of our Donations please click here. Our activities are many, for example the whole club supports the Kop Hill Climb motoring event in September attracting some 15,000 people to the event. 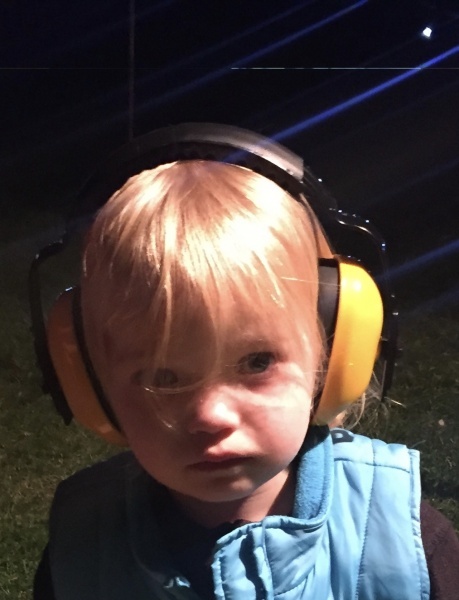 We also hold a large Fireworks and Halloween evening in late October, which is well attended by the community with the focus on fun for the children. 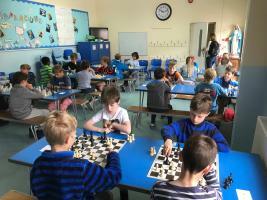 For our most recent activities see "Latest News" below. 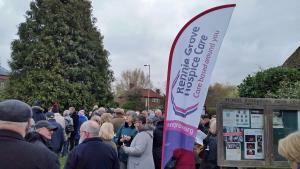 Every year, at the end of November in Dukes Street Garden, and in conjunction with the Rennie Grove Hospice we hold a Tree of Light dedication ceremony in memory of those who have passed away. 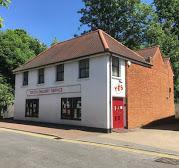 We are justly proud of the efforts we have made in supporting the Princes Centre to become an independent care facility for the less able both old and young within Risborough. 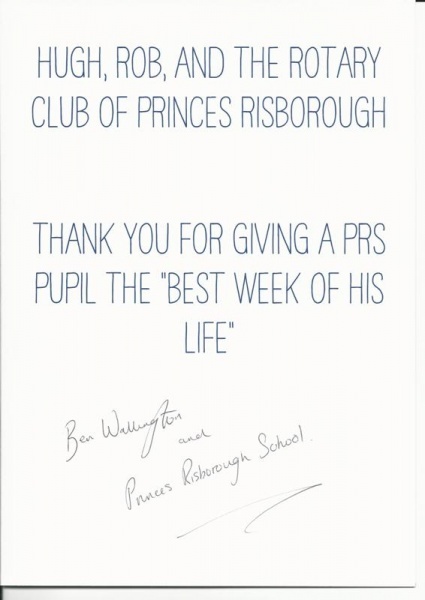 We are equally proud of our support to our Interact Clubs at the Princes Risborough Secondary School and the Royal Grammar School in High Wycombe. This introduces young people who are setting out on their careers to the joys of supporting the community and raising money for worthwhile charities. Rotarians take turns in attending Interact meetings every school week. As a club we support a number of International projects in Africa including the Ebola crisis. 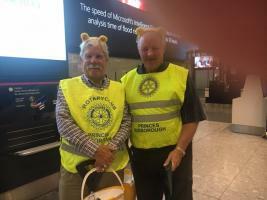 As Rotarians fellowship is a key feature of our Club .We have many Social interests such as a monthly walking group, a weekly cycle group, a monthly Curry club ,Visits, Theatre trips, an annual sailing trip to Greece , Turkey or Croatia and many partner evenings enjoying a good speaker. 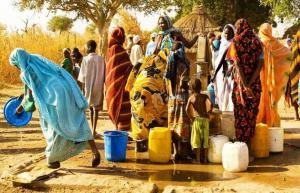 You can find out more about our projects and activities by browsing What We Do above. You will make valuable connections with local community leaders who care about the issues facing our hometown. You will have the chance to apply your personal experience and professional skills to solve these challenges and create positive change. As a member, you'll find opportunities to network and develop your professional skills. You can take the lead in developing projects, organizing events, and running our club. 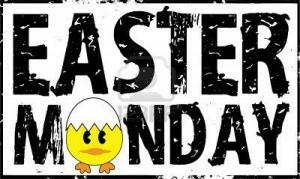 If you are interested in joining our Club please click on "Contact". There was a record cowd of over 1400 people at the annual Halloween Bonfire and Fireworks Party organised by the Rotary Club of Princes Risborough at Princes Risborough School on Saturday 29th October. 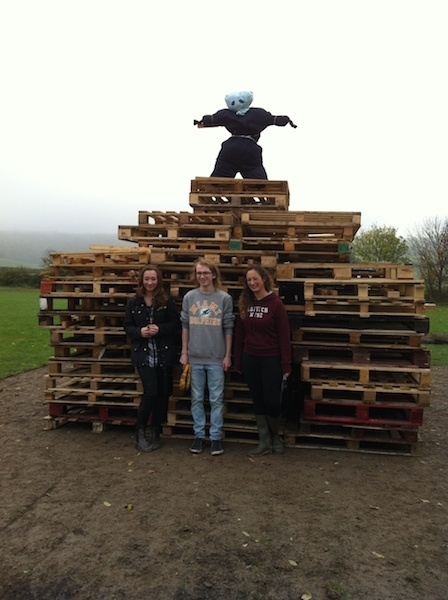 The Crowd thoroughly enjoyed the bonfire built by the Princes Risborough School Rotary Interactors Club and the Firework display provided by Total Pyro. FOCUS is a registered charity which provides support to families and children at Saunderton Lodge (Wycombe District Council emergency accommodation). The Charity promotes the good health of parents and their children and to assist in the re-settlement of residents, through the provision of support, education and practical advice. 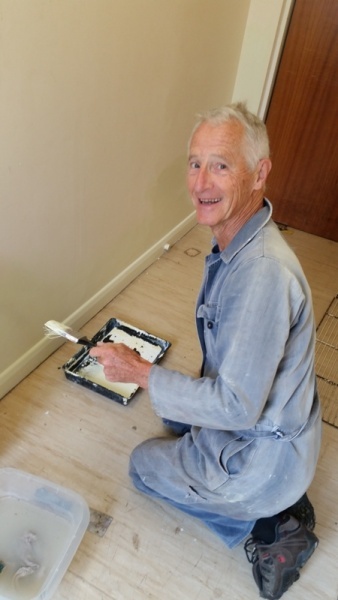 Their services are free and they encourage residents to help themselves. 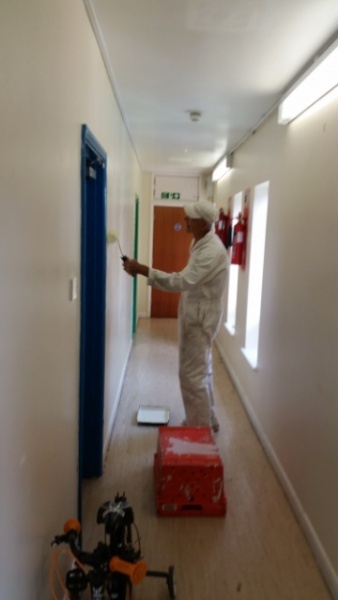 Members of the Rotary Club of Princes Risborough in partnerhip with Tesco have been repainting the hallway at Saunderton Lodge. 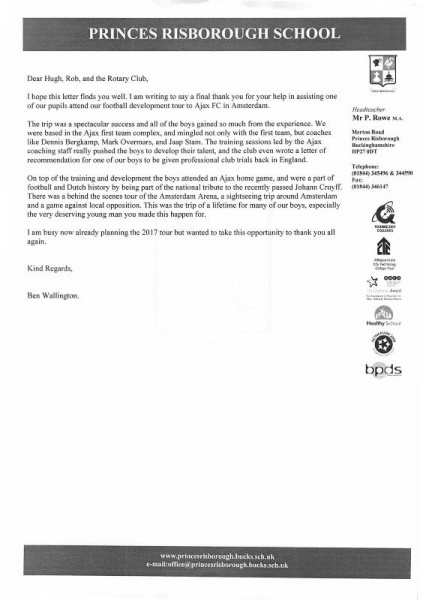 conflicting events (cub camp, local fetes etc) left us with a disappointing number of children (8) those that did take part really enjoyed themselves. The group photo gives a flavour of this. The winner was Ella Cavanagh of St Teresa's who went through the tournament undefeated with a magnificent score of 5/5. Runner up was Freddie Hulett also of St Teresa's.For more information and pictures please click here. All children received a personalised Certificate of Merit (see group photo). 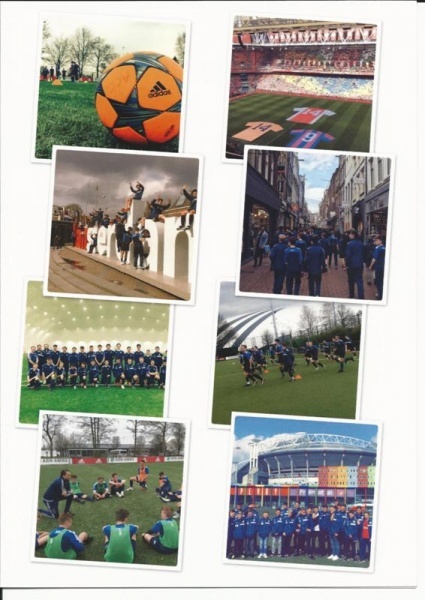 Princes Risborough Rotary Club sponsors a Princes Risborough School student on a"trip of a lifetime" coaching trip to Ajax Football Club in Amsterdam. 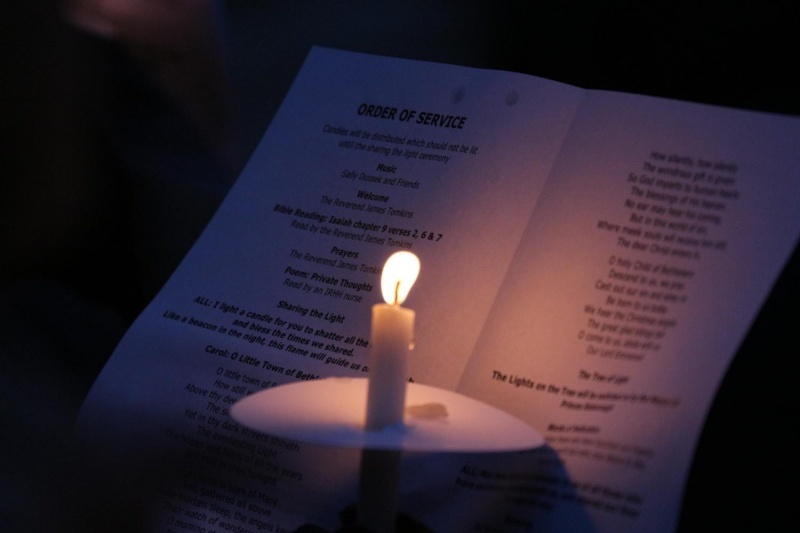 High winds and the threat of torrential rain were unable to dampen attendance at this year's Tree of Light Dedication Ceremony in Princes Risborough on Sunday 29 November. Nearly 250 people braved the elements to join together to remember loved ones and see the lights on the Tree switched on by Alan Turner, Town Mayor and Chairman of the Council. The service was led by James Tomkins, vicar of St Dunstan's Monks Risborough, and music was provided by Sally Dussek and Friends. 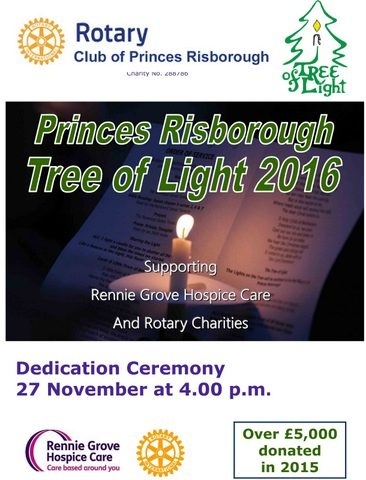 The Tree of Light is organised by the Rotary Club of Princes Risborough and raises funds for Rennie Grove Hospice Care and Rotary charities. 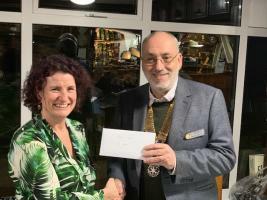 James paid tribute to the Rotary Club for its contribution and generosity to the town through its many charitable activities and to Rennie Grove Hospice Care for the care that it provides to so many people. This year, additional lights had been added to the tree to meet the increasing support and the Tree's natural growth. This necessitated a trip to the top of the tree on a cherry picker for one brave Rotarian! 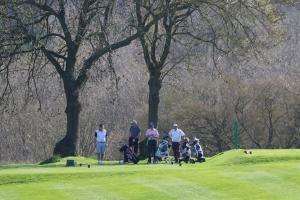 Nearly Â£5,000 has been raised so far this year, bringing the total raised in recent years to well over Â£30,000. Dedications are displayed prominently close to the Tree and will be published in the Bucks Free Press in the new year. The Tree will remain lit until the end of December.